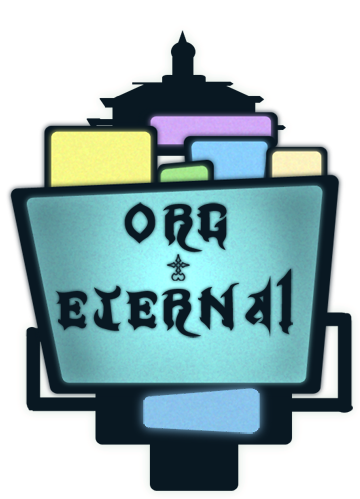 [This thread is to teach Org-Eternal members how to correctly roleplay in the forum format found on this site, as opposed to the chat setting back on DeviantART. We are aware that several members have expressed their wish to join the forum, but are inexperienced in this form of roleplay, and have not joined due to not knowing what to do. So, to help with this, this "training" thread has been created. I'm going to attempt to teach anyone who needs how to "paraplay" - paragraph-style roleplay. Just to let you know, I have random ideas on the spot and occasionally try to put them into action. I'm not sure exactly how this is going to work, but if you need help, just stop in and post here, and I'll do my best to help you. So here's your first lesson, if you REALLY don't know what's going on. When you've finished reading this, scroll down to find the "Add Reply" button and click it. It will take you to a new screen to type your response, with the most recent posts shown below so you can keep track. Add your reply in full sentences, please, and keep away from txt tlk or chatspeak. Reply here if you'd like me to help you, and feel free to ask any questions!